I would like to apologize for any inconvenience and stress resulting from the manner of communication provided by our Customer Service agents. As the fastest growing travel company in the world, we sometimes fall short of our goal, however we are constantly looking to improve. 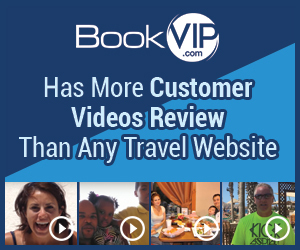 As a special courtesy to you, BookVIP has issued a refund of your purchase less the cost of the Travel Insurance. We offer our Premium Trip Guard Insurance for every purchase. This insurance will allow you to cancel and receive a full refund with no questions asked. However, you, like most declined our insurance because of our flexible rescheduling policies. The reason why we have over 3.6 Million Facebook Likes, more customer video reviews and sent over 100,000 thousands of people on vacation this year alone is because we are the worldwide leader in promotional packages - that's our specialty. If you meet the resort's requirements and agree to attend the resort preview, you will receive the promotional rate. I booked a package with BookVip.com, and I was not told I could not cancel it. I have made several calls trying to cancel, and each time I was told I would receive a call back with a full refund. When finally after numerous attempts on my part, they called me back, I was simply shocked. Robin, Cancellation Department Manager yelled at me the entire time and was extremely rude. I have not yet come across such treatment! And she said they can't cancel it and give me a full refund because it is my fault. She said it is clearly stated on my reservation that I can't cancel, BUT IT IS NOT. Beware! Horrible customer service, and a scam. I will post this review on every legit website to make sure others don't make such mistake. I didn't like: False advertisement, Poor customer service, Refund policy. Review #1209674 is a subjective opinion of user87607575.